The Lymphedema Association of Manitoba (LAM) is a patient focused, non-profit organization founded in 2011. The LAM is working to create awareness and improve access to quality lymphedema information, resources and services across Manitoba. We are committed to improving the lives of people living with or who are at risk of developing lymphedema. There is much work to be done! Join our team of volunteers. Help us to raise awareness about lymphedema, improve access to quality lymphedema information, resources and services. The LAM is looking for volunteers with skills and expertise in administration, fundraising, marketing, communications and media outreach. You don’t need to live in Winnipeg to volunteer with the LAM. Many activities, projects and meetings can be done from your home with participation via teleconference and email. To find out about becoming a volunteer, please contact us. Bill 209, Lymphedema Awareness Day Act proclaims March 6th as Lymphedema Awareness Day in Manitoba! 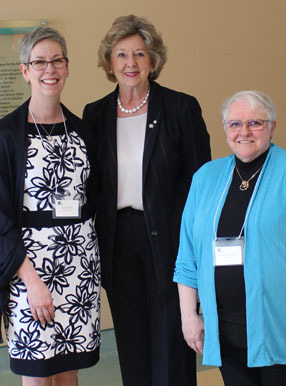 The Lymphedema Association of Manitoba (LAM) counts on memberships and donations to continue promoting awareness and education about lymphedema for patients, those at risk of lymphedema and healthcare professionals. Charitable giving is an important Canadian value and tradition. Every year, Canadians from coast to coast support the causes that matter to them. We are also part of CanadaHelps.org, where they make it easy to support your favorite charity online. The Board would welcome all community-minded individuals interested in joining LAM’s efforts but would particularly invite those with communications, media, website or fundraising interest or experience. We invite you to learn more about these opportunities. We are interested in broadening the involvement of skilled, engaged individuals to join us as we work together to improve the lives of those living with lymphedema. We are continuously working to raise awareness and be a strong supporter for the lymphedema community. Visit our news page or follow us on social media. 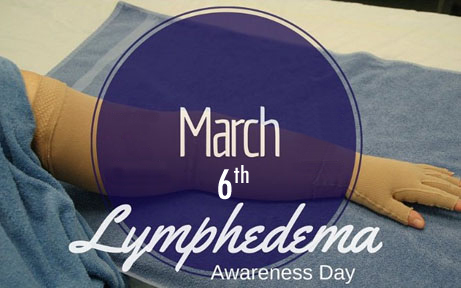 March 6th is Lymphedema Awareness Day! LAM provides resources, information, education and awareness, and support for those affected with or at risk of primary or secondary lymphedema; their families, health care professionals and the general public.